Gotthold Ephraim Lessing (January 22, 1729 – February 15, 1781) was a German writer, philosopher, publicist, and art critic, was one of the most outstanding representatives of the Enlightenment era. His theoretical and critical writings are remarkable for their often witty and ironic style, and he often worked his ideas into his plays and theoretical writings that substantially influenced the development of German literature. His ideas challenged his contemporaries, and his views concerning religion included his views on inter-religious harmony, and as a child of the Enlightenment he trusted in a "Christianity of Reason" that orients itself by the spirit of religion. He believed that human reason (initiated by criticism and dissent) would develop, even without help by divine revelation. Lessing was born in Kamenz, a little town in Saxony, on January 22, 1729. His father was a clergyman and the author of theological writings. After attending Latin School in Kamenz (from 1737 onwards) and the Fürstenschule St. Afra in Meissen (from 1741 onwards) he studied theology and medicine in Leipzig (1746-1748), during which he began to write for the stage. From 1748 he lived in Berlin and had been greatly influenced by his personal encounters with Voltaire. During this time, he wrote "Miss Sara Samson," which is widely considered as one of the first middle-class tragedies. He also worked as reviewer and editor for, amongst others, the Vossische Zeitung. In 1752 he took his Master's degree in Wittenberg. In 1755 he went back to Leipzic and continued to produce various works until from 1760 to 1765 he worked in Breslau (now Wroclaw) as secretary to a General Tauentzien, where he began drafting his well known works "Laocoon" and "Minna von Barnhelm." In 1765 he returned to Berlin, only to leave again in 1767 to work for three years as a dramaturge and adviser at the German National Theatre in Hamburg. There he met Eva König, his future wife. 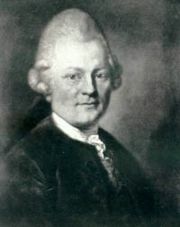 In 1770 Lessing became a librarian at the Herzog-August-Bibliothek in Wolfenbüttel. His tenure there was interrupted by many travels. For example, in 1775 he journeyed to Italy accompanied by Prince Leopold. During this time, he was also involved in fierce theological debates and controversies, and upon being order to cease publishing his arguments he incorporated his religious views in his widely renowned play "Nathan the Wise." In 1776 he married Eva König, who was widowed now, in Jork (near Hamburg). Two years later Lessing met with tragedy as she died in 1778 after giving birth to a short-lived son. On February 15, 1781, Lessing, aged 52, died during a visit to the wine dealer Angott in Braunschweig. Lessing was a poet, philosopher and critic, and was an outstanding representative of the German Enlightenment. His theoretical and critical writings are remarkable for their often witty and ironic style and their unerring polemics. Hereby the stylistic device of dialogue met with his intention of looking at a thought from different angles and searching for elements of truth even in the arguments made by his opponents. For him this truth was never solid or something which could be owned by someone but always demanded a process of approaching. Early in his life, Lessing showed interest in the theatre. In his theoretical and critical writings on the subject—as in his own plays—he tried to contribute to the development of a new bourgeois theatre in Germany. With this he especially turned against the then predominant literary theory of Gottsched and his followers. He particularly criticised the simple imitation of the French example and pleaded for a recollection of the classic theorems of Aristotle and for a serious reception of Shakespeare's works. He worked with many theatre groups (e.g. the one of the Neuberin). In Hamburg he tried with others to set up the German National Theatre. Today his own works appear as prototypes of the later developed German drama. Miß Sara Sampson and Emilia Galotti are seen as the first middle-class tragedies, Minna of Barnhelm (Minna von Barnhelm) as the model for many classic German comedies, Nathan the Wise (Nathan der Weise) as the first ideological idea drama ("Ideendrama"). His theoretical writings Laocoon and Hamburgian Dramaturgy (Hamburgische Dramaturgie) set the standards for the discussion of aesthetic and literary theoretical principles. In his religious and philosophical writings he defended the faithful Christian's right for freedom of thought. He argued against the belief in revelation and the holding on to a literal interpretation of the Bible by the predominant orthodox doctrine. As a child of the Enlightenment he trusted in a "Christianity of Reason," which oriented itself by the spirit of religion. He believed that human reason (initiated by criticism and dissent) would develop, even without help by a divine revelation. In addition, he spoke up for tolerance of the other world religions in many arguments with representatives of the predominant schools of thought (e.g. within the "Anti-Goeze"). He also worked this position into his dramatic work (in Nathan der Weise) when he was forbidden to publish further theoretical writings. In his writing The Education of Humankind (Die Erziehung des Menschengeschlechts) he extensively and coherently lays out his position. The idea of freedom (for the theatre against the dominance of its French model; for religion from the church's dogma) is his central theme throughout his life. Therefore he also stood up for the liberation of the upcoming bourgeoisie from the nobility making up their minds for them. In his own literary existence he also constantly strove for independence. But his ideal of a possible life as a free author was hard to keep up against the economic constraints he faced. His project of authors self-publishing their works, which he tried to accomplish in Hamburg with C.J. Bode, failed. Lessing is important as a literary critic for his work Laocoon: An Essay on the Limits of Painting and Poetry. In this work, he argues against the tendency to take Horace's ut pictura poesis (as painting, so poetry) as prescriptive for literature. In other words, he objected to trying to make literature do what painting does. Instead, poetry and painting each has its character (the former is extended in time; the latter is extended in space). This is related to Lessing's turn from French classicism to Aristotlian mimesis, discussed above. Nathan the Wise (original German title Nathan der Weise) is a play published in 1779 that calls for religious tolerance. Set in Jerusalem during a rare and short-lived truce, it describes how the wise Jewish merchant Nathan, the enlightened sultan Saladin, and the Knights Templar bridge their gaps between Christianity, Judaism and Islam. The centerpiece of the work is the ring parable, narrated by Nathan when asked by Saladin which religion is the true one. He tells a story is about an heirloom ring with the magical ability to make its owner loved by God and his fellow man. This ring was to be passed down from the father to his favorite son; however, when it came to a father of three sons who were equally obedient to him, he promised it to each of them. He had two replicas made, which were indistinguishable from the original, and gave on his deathbed a ring to each of them. Subsequently, the brothers quarreled over who owned the real ring. A wise judge admonished the brothers, and challenged the brothers to decide who amongst them was loved the most by the other two brothers if the effects of the ring were to render its owner loved by God and man; the behavior of the brothers indicated the hypocrisy between the very meaning of the ring and the way each brother treated each other. The wise judge suggests that each brother lives as though each ring were the true one and to endeavor to practice the virtues of the ring. ↑ Daniel Dahlstrom, Moses Mendelssohn. Stanford Encyclopedia of Philosophy, December 3, 2002. Retrieved December 10, 2007. Lessing, G.E. Minna Von Barnhelm by Gotthold Ephraim Lessing-Project Gutenberg Retrieved December 10, 2007. Lessing, G.E. 1766. Laocoon: An Essay on the Limits of Painting and Poetry, trans. E.A. McCormick, Indianapolis, IN: Bobbs-Merrill, Library of Liberal Arts, 1962. Wellbery, D.E. Lessing's Laocoon: Semiotics and Aesthetics in the Age of Reason. Cambridge: Cambridge University Press, 1984. All links retrieved June 27, 2017. History of "Gotthold Ephraim Lessing"
This page was last modified on 27 June 2017, at 16:20.